I absolutely love a challenge and like to veganize every recipe I used to prepare before I became vegan. It’s good to know that if you want to, you can prepare your old recipes and they will taste as good as, in this case even better than they used to taste before. 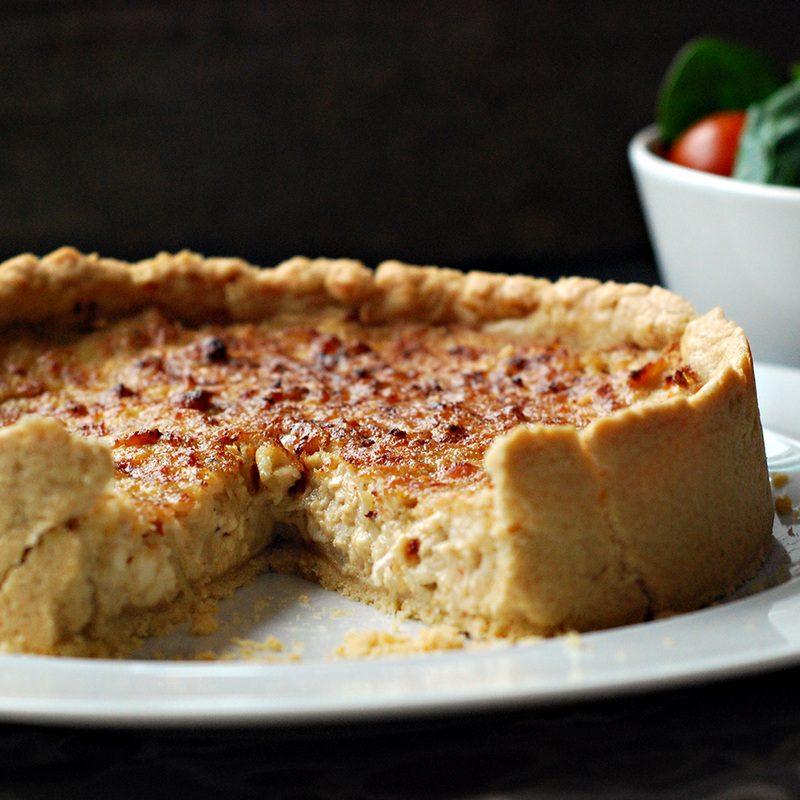 This quiche is lovely and perfect for an evening meal. Give it a go, you will love it! Using your fingers bring the flour and margarine together into a dough. Open the dough on a 7 or 8 inches round spring form baking tray. Squeeze the tofu block between your hand to get some of the liquid out and than break it into crumbs. Add the tofu, seasoning, balsamic vinegar and vegetable cube and stir for about 5 minutes. Let it cool down for 20 minutes before serving. This quiche looks pretty good.